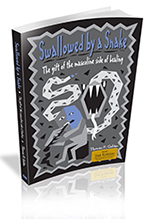 First is from Tom’s first book, Swallowed by a Snake: The Gift of the Masculine Side of Healing. Do as many damn pushups as you can and make a video of your efforts. Post the vid online with hashtags #22kill and #22 if you did 22 pushups. If you did 53 the hashtag would be #53. Simple right? Yeah, but how can this help? Well, a group of veterans have started a global movement called #22Kill They are working to bring more awareness to the tragedy that has been slipping by most of us that so many of our veterans are dying from suicide. The idea of their work is to reach 22 million verified pushups. Not only will your pushups move their counter towards the 22 million goal it also sends a message that one more person out there cares about our vets and will take time out of their day to honor them and let them know you appreciate what they have done for all of us. I admire this group for their efforts. They are using the masculine paths. That is, when men are met with difficulties and struggles they will less often join a support group and more often move to DO something that honors. It is through the action and the honoring that he is able to tell his story. One beautiful example of this is Michael Jordan, who moved towards action after the tragic murder of his father. We all know that Jordan quit basketball after his father’s death. We also know that he started playing minor league baseball in hopes of catching on at the pro level. This confused most of us, just as many of men’s healing paths tend to confuse most people. What we didn’t know at the time was that Jordan’s father always wanted him to be a baseball player and was not shy in telling Michael. So Jordan’s switch to baseball was an action to honor his father. He did it for his dad. Make sense? Pushups can work in the same way. In fact, their instructions tell you to state your name and then say who you are doing the pushups for. This is connecting the action to honoring. This is healing. I will be doing my 22 soon and will put it on youtube. I hope you will too. It also needs to be added that 66 non-veteran males die each day in the US from suicide. My thanks to Spencer for pointing this out to me.